Avi joined Ben-Ami in 2005, became a certified patent attorney in 2007 and partner in 2010. He deals mainly with drafting and prosecution of patent application throughout the world in all fields of life science, including organic chemistry, biochemistry, peptides, biotechnology, pharmaceuticals, formulations, diagnostics, physical chemistry, nanotechnology, material science, alternative energy, and medical device, and drafts patentability and freedom-to-operate opinions. His professional experience in his previous activities enables him to achieve a solid understanding of the inventor's needs and the scientific basis for complex inventions. 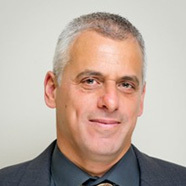 Avi served many years in the IDF/Military Intelligence, first in the main intelligence collecting unit and then in the Production Division. In his final position as the Head of the Chemical and Biological Branch he was responsible, inter alia, for managing, directing and leading the whole communal intelligence research in the fields of Chemistry and Biology; integrating and processing complex and diverse scientific and intelligence information from a variety of sources and disciplines; analysis and assessment of R&D and production activities including engineering analysis of processes and systems; initiating, supervising and professionally coordinating various projects performed in laboratories of leading Israeli research institutes, in cooperation with the projects' leaders; and initiation and involvement in development of advanced methods for collecting and extracting intelligence information in the fields of Chemistry and Biology.